Australia is one of those countries that cries out to be discovered by a motorhome rental. It's the kind of land that is best discovered at your own pace, abandoning yourself to the open road with your RV rental pointed in whatever direction you wish. Of course, the length and breadth of the land means that it's difficult for those with jobs or young children to fully explore in one vacation--or even two or three--which is likely why a growing number of retired Australians are hitting the road to fulfil their dreams of seeing their beautiful country on wheels. In a recent Sydney Morning Herald article a retired Aussie couple named Ray and Lorraine Gardner detail their new, relaxed lifestyle. They spend about six months a year now in their RV. ''It's just the freedom of being able to travel around the great country we live in,'' Mr. Gardner, who bought his motorhome in 2005, told the newspaper. The couple--like so many other older, retired Australians that make up the so-called "Grey Nomads"-- can do what they wish, when they wish, with no timetable holding them back. And all this without ever really having to "rough it." The RV boom in Australia is showing no signs of slowing down. 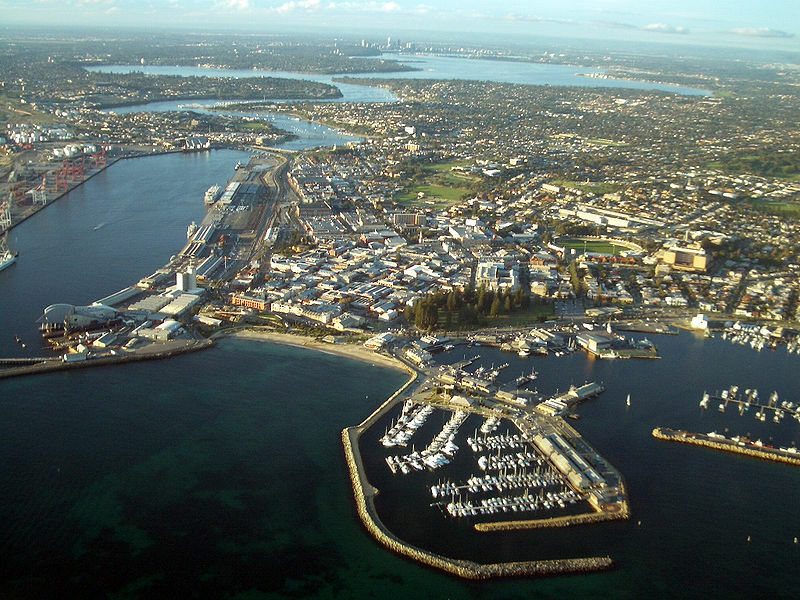 According to the SMH article, Richard Raven, of the Recreational Vehicle Manufacturers Association of Australia, explained that in 2010 the number of RVs manufactured in Australia will likely reach 24,000. That number is 5,000 more than has ever been manufactured in any other year. According to Mr. Raven ten percent of this 24,000 is said to be motorised vehicles, while the other 90% are campervans and caravans. There is also a wait list for several models and a great number of those purchasing these vehicles are older Australians. Which means if you're looking to purchase an RV yourself, you might not be able to get your hands on one as quickly as hoped. 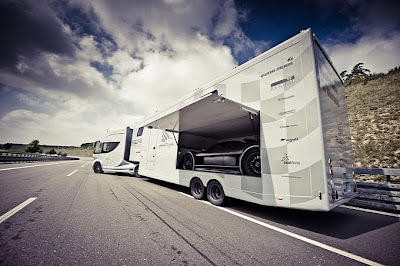 If this is the case then why not consider a motorhome rental for the time being? That way you can determine whether life on the open road, and sleeping in one of Australia's 200,000 sites and 2,500 RV parks, is really for you. If you'd like more information on great RV rental deals, as well as helpful details on planning your Australian motorhome roadtrip visit MotorhomeRoadtrip.Com. The new generation of RVs is here and it's called the Futuria Sport+Spa, manufactured by Germany's Most Mobile Specials. 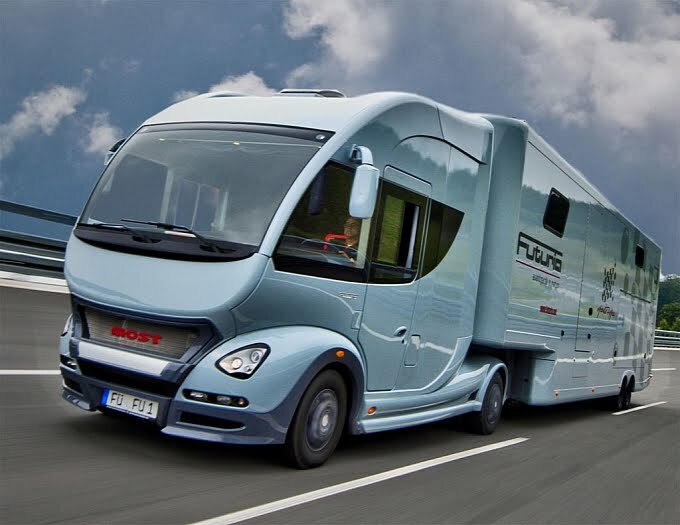 Not everyone is content to hit the road in a motorhome rental, so for those looking to own their recreational vehicle Most has created one that is decidedly top of the line--complete with top of the line price tag: €153,952 for the trailer alone. If you want the whole enchilada complete with semi-trailer then you're looking at €657,413. So what do you get for this whopping amount? Read on to find out. 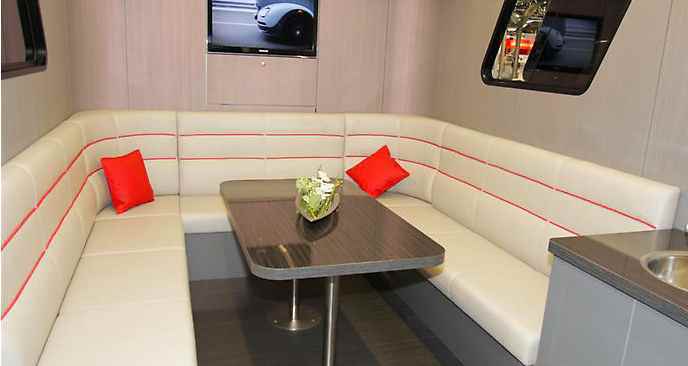 Much like most luxury motorhome rentals the Futuria Sport+Spa comes with a berth, including two single beds, and a living area. The Futuria's living area features a circular-shaped leather couch that sits 10, air conditioning, a powerful sound system, illumination under the floors and a fog machine. Don't forget the two LCD monitors, coffee machine, sink, fridge and microwave; pretty much anything you'd need to make life in the Futuria comfortable. Even more impressive the Futuria has a rooftop terrace deck complete with a 550l whirlpool with pulsators, LED lights and jet nozzles. Oh, and did we mention the waterfall? If you're a sportscar enthusiast and would like to take your car with you on the open road then you'd have no fear when it came to the Futuria. There is a specially built compartment, with a mirrored ceiling, just for your car. The actual Futuria's driver's cabin is built as aerodynamically as possible with an air suspended driver's seat and a pivoting bed built into the ceiling to save room. So what do you think? Is the Futuria for you? 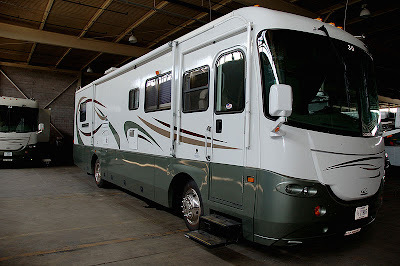 If not you can find great information on reasonable motorhome rentals as well as great RV roadtrips at MotorhomeRoadtrip.Com. 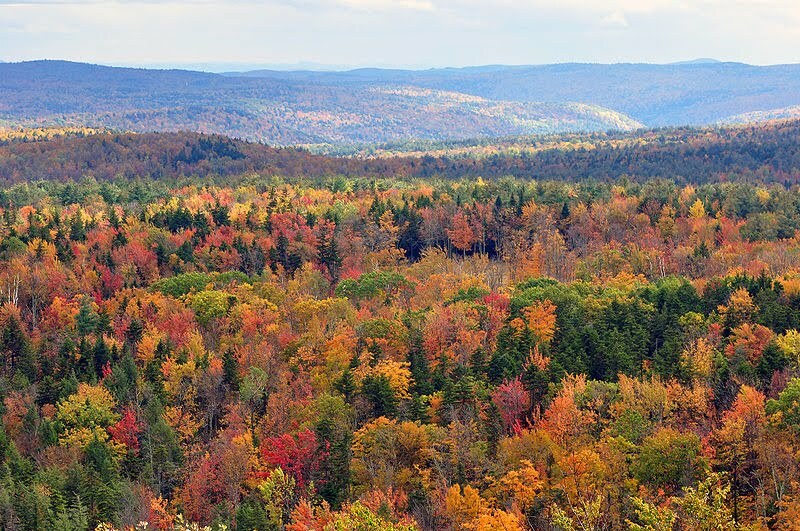 Part Two of our Vermont Fall Foliage Drives Series features five more great routes, as outlined by Vermont Living Magazine, that will help you make the most of your fall New England RV rental trip. 6. 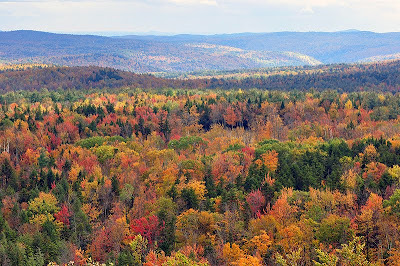 Ski Mountain Tour - Looking for miles and miles of beautiful fall leaves as far as the eye can see? This route definitely delivers. If you take this drive in your motorhome rental you will pass three of Vermont's famous ski resorts (Sugarbush, Killington and Okemo) and their majestic mountains. The town of Chester is a great place to stop for some good food and great atmosphere. Once a hub of rail travel the farm town is now dotted with quaint restaurants and shops. This roadtrip begins in the town of Burlington where you'll take Route 100 south passing the ski resorts. Route 103 will take you right into Chester. 7. Molly Stark Trail - This trail is also known by the name Route 9, which will lead you across the southern part of Vermont where it touches the borders with New Hampshire and New York. Although short this drive offers lots to see, from the gorgeous natural beauty of your surroundings to some great architecture in the towns along the way like Bennington, Brattleboro, Woodford, Searsburg and Wilmington. Take note that Molly Stark State Park is now closed. 8. The Green Mountain View - Not surprisingly given the name you'll see a lot of the Green Mountains on this drive in your motorhome. 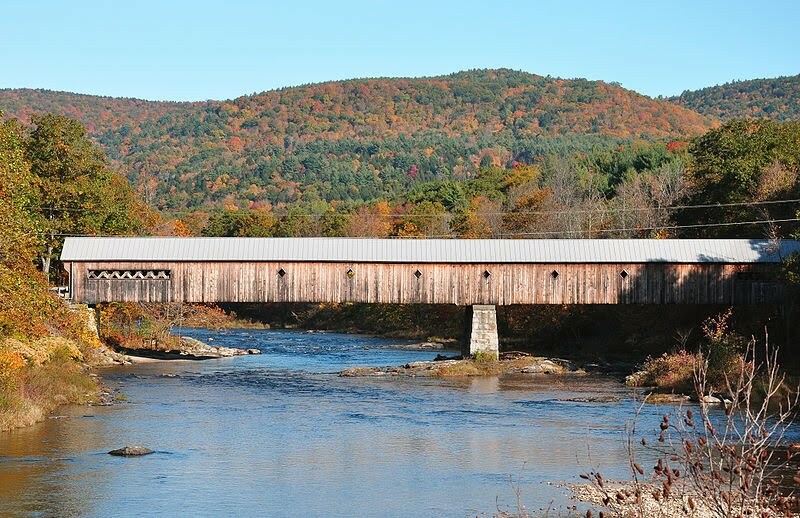 Starting off in the state capital of Montpelier take Route 12 to Northfield Falls, where you'll find some historic covered bridges. Keep on Route 12 and you will pass the towns of Bethel and Woodstock (you may want to stop to take a look at the Quechee Gorge). 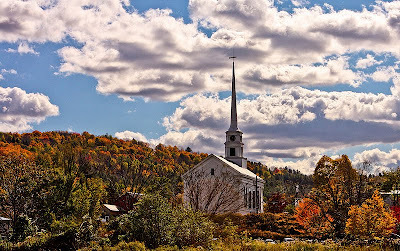 Take Route 4 on to Killington where you can park and take a gondola ride high above the ground--a great way to see the changing leaves from above, although these don't run all year. Once you're done in Killington you will want to head onto Route 100 to Hancock before taking Route 125 on to Granville and Middlesex and then back to Montpelier. 9. Mount Snow - The main attraction of this route is Mount Snow itself, which can be reached by heading north on Route 100 from Wilmington (the starting point). At the ski resort you can opt to ride to the top of the mountain to catch a great aerial view of the gorgeous scenery below. 10. Champlain Smorgasbord - Starting in the quaint village of Cambridge you can drive your motorhome rental north towards Enosburg Falls. Enroute you will get to enjoy a myriad of different scenery options from green hills and mountains to covered bridges, small villages and islands. Once you've taken Route 108 from Cambridge to Enosburg Falls the road will change to Route 105, which you can take west until you come to the meeting point of Routes 105 and 78. If you turn onto Route 78 it will take you directly to the picturesque Champlain Islands. If you would like to explore this area further opt for Route 2, which will take you right through the villages here (Alburg, South Hero and Grand Isle, respectively). Get back on Route 78 until you are out of the island region and then drive back to Essex Junction by Route 2A where you can get Route 15 to take you to Cambridge. 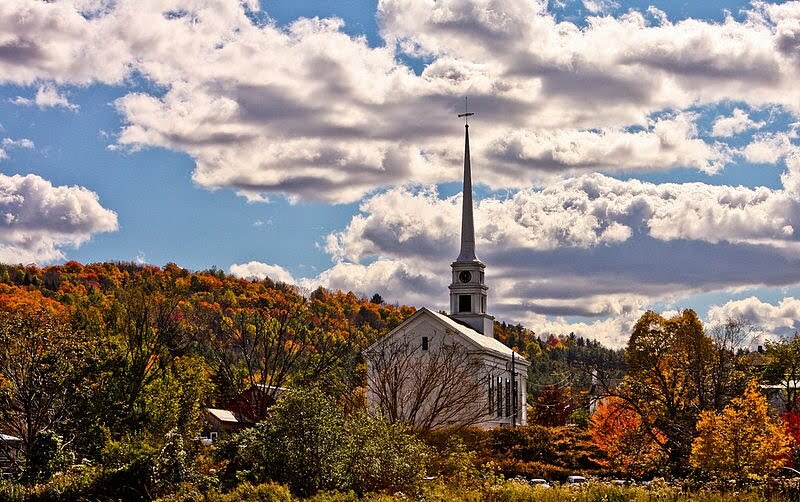 If gorgeous and peaceful natural beauty is what you're looking for in a fall RV rental roadtrip then look no further than picturesque Vermont. Choose one of the ten routes outlined in this series or make up one of your own--the best part of having your own motorhome is the ability to go where you please and stop where you want. For more information about motorhome rentals and roadtrips in Vermont visit MotorhomeRoadTrip.Com. Nova Scotia's Cape Breton is an island of abundant natural beauty just crying out for a motorhome rental roadtrip. In fact, the province has actually divided the island up into five helpful routes for RV drivers to choose from. At the point where the Fleur-de-lis and Marconi Trails meet you will find the quaint, seaside city of Louisbourg, a favourite destination for many RV renters who enjoy the town for its charm, beaches and culture. One such couple of avid RVers are Hal Thiessen and Coralie Bornais of Winnipeg, Manitoba, Canada, who have returned to Louisbourg every year since discovering it on a trip to Cape Breton ten years ago. According to The Cape Breton Post "each year they arrive in September and stay at the Louisbourg Motorhome RV Park, attending 25 playhouse shows in one season plus a few running in conjunction with the Celtic Colours International Festival." 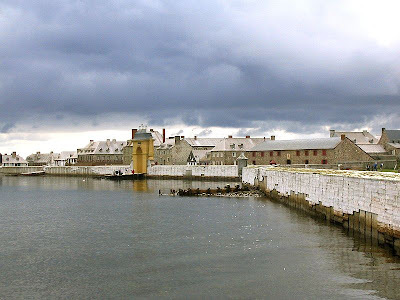 While the music of the place and the cultural draw of the 17th century Louisbourg Playhouse (modelled on Shakespeare's Globe Theatre) brings the couple back again and again they are not the only benefits to parking your motorhome rental in Louisbourg. Just think of the beaches you can visit, hikes you can take, delicious food waiting to be eaten and historical sites, like the Louisbourg National Historical Site, that you can discover. "By and large our musical desires are satisfied right here because for one month we have nothing but different entertainment and good entertainment,” Thiessen tells the newspaper. While Bornais chimes in with high praise of his own: "We have so much love for this island. You have no idea how fortunate you are to have such a wealth of talent.” For those looking for a great cultural experience in Canada look no further than Louisbourg, Cape Breton where natural beauty and quaint charm is married to a thriving artistic scene making the town a great stop on a Nova Scotia roadtrip or a perfect destination all on its own. For more information on great Canadian motorhome rental deals visit HalifaxRVRental. In Part Two of our guide to some great autumn road trips in Ontario we offer two more RV rental routes that will allow you to enjoy the changing colours and natural beauty of the province. What better place to enjoy the beauty of autumn in Ontario than along the St. Lawrence? Steer your motorhome rental towards Brockville where you can embark on a trip that will take you from the city that was once the stomping ground of Canada's rich and famous to Athens, a quaint town famous for its outdoor murals. Brockville - A city of just over 20,000 Brockville is made up of dignified public buildings carved out of limestone that lend a certain charm and sophistication to the town. Some time back the rich flocked to Brockville and it is said that there was a point when there were more millionaires here than anywhere else in the country. In Brockville you can enjoy the town's very New England-esque town square, one of the only ones in Canada, as well as various festivals throughout the year. Prescott - Located on the water the town of Prescott was founded in 1810 and continues to celebrate its storied history. Visit historical homes and museums, like the Fort Wellington National Historic Site and the Battle of the Windmill, as well as the beautiful waterfront where you can participate in swimming and other sports. Athens - This quaint town is easily navigated and known for it's outdoor murals. 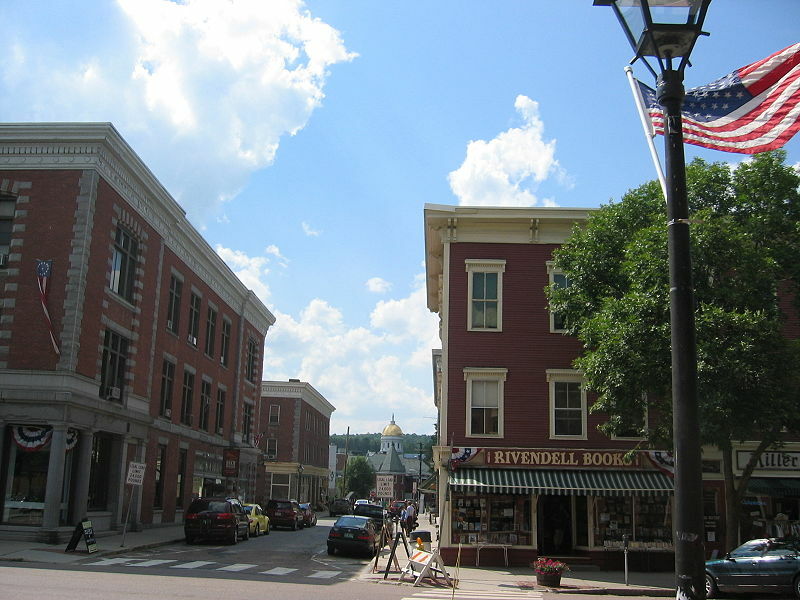 Explore historic buildings and local shops at this stop. The beautiful Horseshoe Valley area offers great skiing in the winter months and beautiful views in the fall. Take your motorhome rental on a drive through Barrie, the Valley and onto Orillia where you can enjoy nature and a stop at the casino. Barrie - If fall colours are what you're looking for then Barrie is a perfect city to include along your drive. 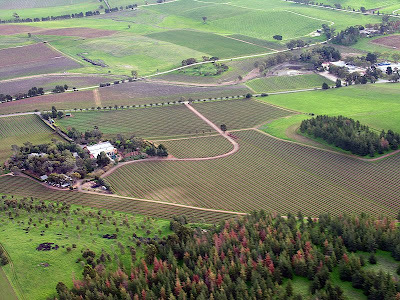 Not only does this robust town offer many options for shopping and eating, but along the way you'll be able to marvel at the changing leaves and sloping landscape. Horseshoe Valley - The heart of this area is tucked between Craighurst and Orillia and can be reached from Barrie by taking Highway 400. A dazzlingly beautiful resort area you can enjoy nature as well as quaint local shops and outdoor sports. Orillia - To reach Orillia take Highway 12 in Jarratt and drive your RV rental East towards Orillia. The city of Orillia not only offers more gorgeous fall vistas, but also many activities and entertainment options. The area draws thousands of visitors for its modern casino where a chilly fall day can easily be passed inside. To return to Barrie from Orillia just take Highway 11 South. If you want better views along your drive, however, it's recommended that you choose Old Barrie Road instead. For information on great RV rental deals and more ideas for Ontario road trips visit MotorhomeRoadtrip.Com. 1. Fall Photo by Jok2000 via Wikimedia Commons. 2. Brockville Courthouse by Vincebrockvlog via Wikimedia Commons. 3. Orillia Waterfront by P199 via Wikimedia Commons. If you're looking to spot a majestic moose on your motorhome rental roadtrip then head to Route 3, the road that will take you from Pittsburg, New Hampshire to the border with Canada. The chances of seeing a moose leisurely crossing this road is quite high--they don't call this stretch "Moose Alley" for nothing. 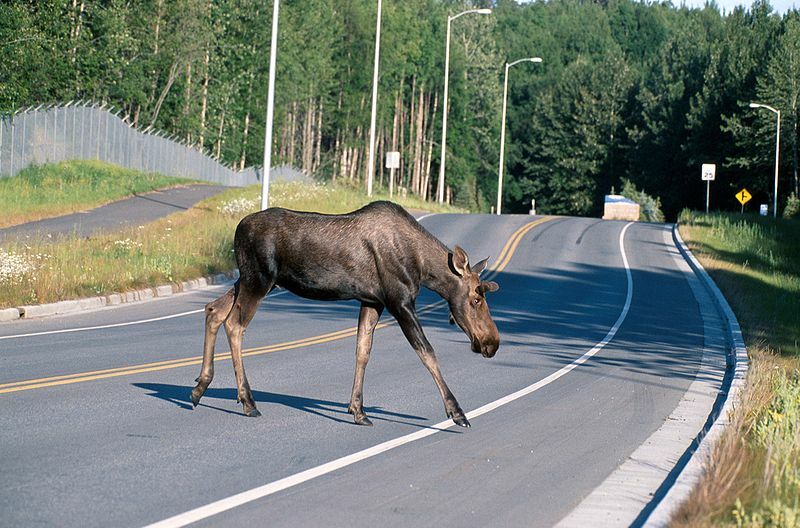 If your RV roadtrip includes discovering New Hampshire's Great North Woods in the state's northernmost city of Pittsburg then you'll be perfectly positioned to do some moose watching of your own. 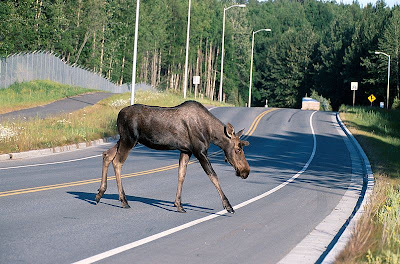 If you do plan to drive your campervan rental through Moose Alley be sure to heed the signs and always exert caution on roads where the large animals are likely to cross. Mind the speed of your RV rental and if it's a photo your looking for pull over fully before snapping your shots. If you're eager to spot a moose of your own remember the best times to do so are either early morning or at dusk. If you're a moose lover and happen to be in Maine you will also want to keep your eyes open for an animal legend that has drawn many people to the state, including the Sci-Fi Channel's Ghost Hunters and The Atlantic Paranormal Society (TAPS). According to Cryptomundo the mythic moose is "a 2,500-pound enigma that’s maybe roamed the woods here for 100-plus years..he’s white or dirty gray, twice normal size and typically just a bit too far from any gun’s reach or so swift he disappears in a blink." Sighting Maine's Mystery Moose on your RV rental vacation would be quite a story indeed. For more information on great RV rental deals and New England motorhome vacations visit MotorhomeRoadtrip.Com. If you've ever dreamed of taking to the open road to experience the raw nature of a particularly beautiful country then you have a lot in common with Kate Rew, whose book Wild Swim is all about a motorhome vacation she took to New Zealand's South Island. "One campervan, two friends, three weeks, four feet on the dashboard and a cold beer when we pulled up at night," is the getaway as Rew describes it in The Guardian. This kind of unstructured voyage of discovery is the type of vacation that just calls out for a motorhome rental as your means of transportation. With your own RV rental you can go at your own pace, stopping when you please to explore your areas of choice. If New Zealand is your destination you can expect rainforests and wildlife, cold rivers and pristine streams, as well as acres and acres of stars. 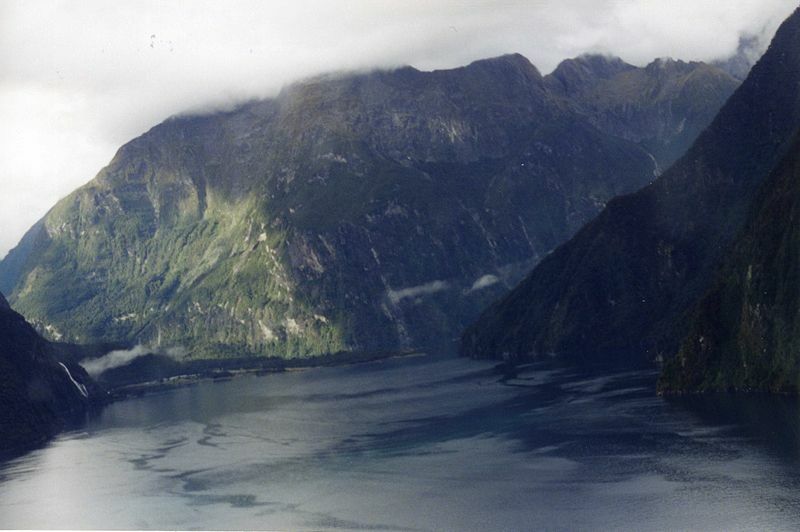 New Zealand's South Island is the larger of the country's two main islands, although less populated than the North Island. Often referred to as the "Mainland," this area is rich with natural beauty from gorgeous sandy beaches to breathtaking mountain peaks. Here you can indulge in everything from adventure tourism and whale watching to hiking and skiing. You can fly into cities like Christchurch, Queenstown and Dunedin where you can pick up your campervan rental to start your voyage. 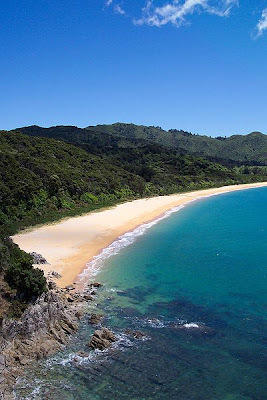 Head to Kaikoura, Fiordland National Park, Westland National Park, Aoraki/Mount Cook National Park, Abdel Tasman National Park or the Marlborough Sands, all of which rank among the Top 10 tourist destinations in the whole of New Zealand. As for Kate Rew, the author recalls of her own South Island vacation, "We set off with a monumental greed to experience New Zealand's wild places, to spend as much time as possible in the non-human world...We wanted to swim with dolphins and fur seals, wake to the piping of bellbirds, hear trees sigh and flightless birds shuffle. In elemental form, the route was dolphins – backcountry – mountains – stars – rainforest." Rew's motorhome rental drove the roads between Christchurch and Kaikoura to the marine reserves of Picton, the Marlborough Sands and Abel Tasman before turning back along the west coast towards Mount Cook and ending in the city of Queenstown where Rew embarked on a three-day hike through the rainforest. If you would like to experience a nature-rich getaway like the one enjoyed by Kate Rew then head to New Zealand Motorhome Roadtrip to find out more about New Zealand campervan rentals and vacationing on the South Island. Australia's back country features countless roads, national parks and attractions that are ideal for those embarking on a campervan rental vacation. If this is the type of getaway you're planning then you might want to consider pointing your motorhome rental directly towards Karijini National Park. 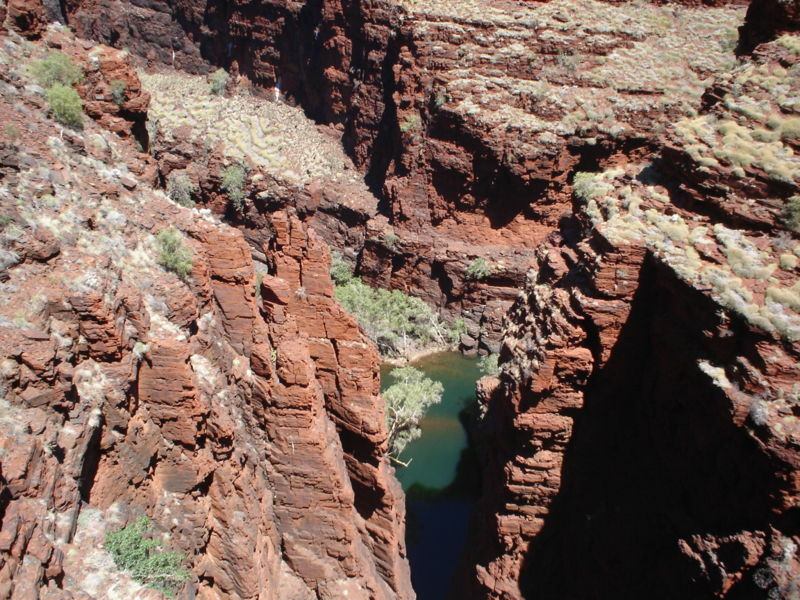 While this park isn't easily reached--you can catch flights from Sydney and Perth to the nearby towns Karratha and Paraburdoo, which are 397 and 100 kilometres away from Karijini, respectively--what you find when you get there is almost certainly worth the trek. Fitting Karijini into your roadtrip plans is an ideal way to see the park, which is at the middle of the 2,500-kilometre drive known as Warlu Way. This famous north-west route will take you from Exmouth to Broome and is said to have been inspired by an Aboriginal story. Daniel Scott recently wrote about his visit to Karijini in an article in the Sydney Morning Herald where he recalls, "When I first visited this 627,000-hectare national park at the heart of Western Australia's Pilbara region, it left me awed and humbled. At Hancock Gorge, where I found myself surrounded by 2½-billion-year-old banded iron formations, I felt closer to the soul of the planet than I'd ever been. 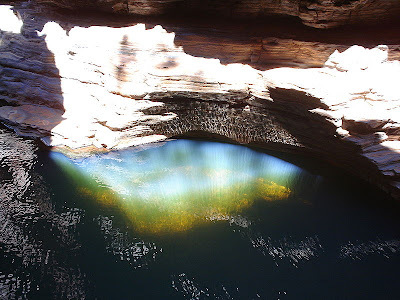 Of all the 200 Australian national parks I had so far visited, Karijini, with its ancient chasms cleaved out of the Hamersley Range, left the most indelible impression on me." Even if Karijini is the main destination of your motorhome rental trip it definitely isn't the only thing worth seeing along these long and dusty roads. Scott also stopped at another "spellbinding" national park (Millstream-Chichester) nearby before heading to Karijini and its gorges, rock walls and waterfalls. Sound intriguing? Find out more about Australian Motorhome Roadtrips and great deals on campervan rentals at MotorhomeRoadtrip.Com.